In addition to our full or part packing service, we can help provide packing paper, boxes of all sizes and sealing tape to help keep your belongings safe for their journey. 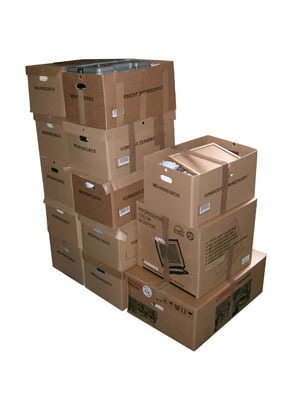 We can offer you all your packing supplies at a minimal cost or on loan upon request. Some people call good packing an art and our fully trained staff with years of experience are here to help with all your packing needs whether its for storage or moving we can help give you the best advise and help you as much as you would like, offering you a few tips along the way. Packing is one of the largest jobs when moving but is usualy forgotten about when organising your removals or storage services. It is usualy a bigger job than most people realise. Alot of your goods will need wrapping individualy especially all glassware and china which are also best to pack on end in the boxes and not flat. If you are just looking for some packing material or you would like us to help with your packing and to give you advice and options please dont hesitate to get in touch.